Archaeology of complex societies; social inequality; economic anthropology; Andes, Polynesia, and Europe. Tim Earle is an economic anthropologist who specializes in the archaeological studies of social inequality, leadership, and political economy in early chiefdoms and states. He has conducted multi-year, international field research projects in Polynesia, Peru, Argentina, Denmark, and Hungary. Having studied the emergence of social complexity in three world regions, his work is comparative, searching for the causes of alternative pathways to centralized power. He has studied irrigation agriculture as engineered landscapes and how land tenure translates into political control. He has also investigated the role of attached specialists, who produce weapons and wealth, and prestige goods exchange. 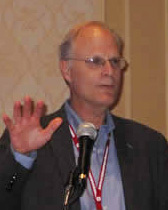 His publications include the books Organizing Bronze Age Societies, Bronze Age Economics, The Evolution of Human Societies, How Chiefs Come to Power, and articles such as “Culture matters in the Neolithic transition and emergence of hierarchy.” American Anthropologist 106, and “Ideology, materialization and power strategies.” Current Anthropology 37. He has served as Chair of the Department of Anthropology, and President of the Archaeology Division of the American Anthropological Association. Tim is the recipient of many grants from the National Science Foundation and Wenner-Gren Foundation, and has served on the review boards of the National Science Foundation, Annual Reviews in Anthropology, a1u1ubea! nd Cambridge University Press. He has delivered the 2002 Distinguished Lecture in Archaeology to the American Anthropological Association and the 2006 Keynote Address to the Society of Economic Anthropology. A special session in his honor took place at the 2010 American Anthropological Society Annual Meeting. In 2010, he received the Clarence L. Ver Steeg Graduate Faculty Award from The Graduate School, Northwestern University. Presently, he studies comparatively the long-term development of political economies, emphasizing contrasts been mercantilism and intensified agricultural landscapes as it affects political power. 2002. Bronze Age Economics: The Beginnings of Political Economies. Boulder: Westview Press. 2008. The Engineered Landscapes of Irrigation. In Economics and the Transformation of Landscape, L. Cliggett and C.A. Pool (eds. ), pp.19-46. Lanham, MD: AltaMira Press. 2007. Eventful Archaeology: The Place of Space in Structural Transformation. Current Anthropology 48: 833-860. (With R. Beck, D. Bolender, J.Brown). 2001. Institutionalization of Chiefdoms: Why Landscapes are Built. In Leaders to Rulers, J. Haas (ed. ), pp. 105-124. New York: Kluwer Academic/Plenum Publishers. 2001. Exchange and Social Stratification in the Andes: the Xauxa Case. In Empire and Domestic Economy, T. D’Altroy and C. Hastorf (eds. ), pp.297-314. New York: Kluwer Academic/Plenum Publishers. 2000. Archaeology, Property, and Prehistory. Annual Review of Anthropology 29:39-60.